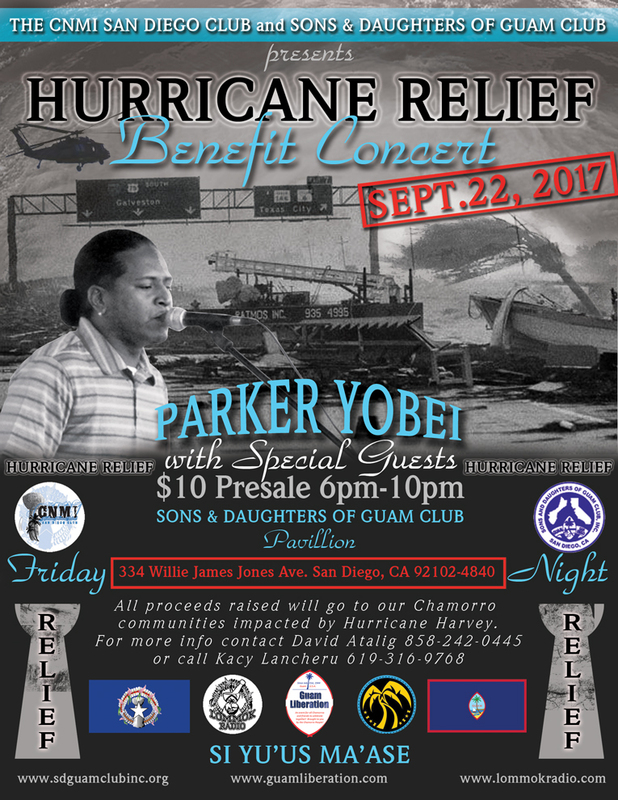 Please join us for a special Benefit Concert featuring Parker Yobei in San Diego, hosted by The CNMI San Diego Club and The Sons and Daughters of Guam Club. 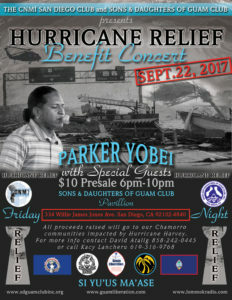 All proceeds will go to benefit the Chamorro communities affected by Hurricane Harvey (and possibly Hurricane Irma). Please come out, support and donate for a worthy cause. At the least, please share this info to help assist our Chamorro People. This entry was posted in Concerts, Events by Guam Liberation. Bookmark the permalink.